I have been dying to do this post ever since I ordered these shoes from YMC a few months ago, but I wanted to shoot them on my feet, so I’ve been waiting patiently. And they arrived yesterday! I’ve always wanted to do the geek shoe trend, but I’m still not convinced I’m cool enough to carry it off head-to-toe. What I’d really like to wear them with is a calf-length skirt, buttoned up blouse, ankle socks and heavy rimmed spectacles. Unfortunately, that is a look reserved for the tall and optically challenged, and I fall into neither category, so I’ve paired mine with my fall-back skinny MiH jeans and a Breton top (the Ray Ban glasses don’t have real lenses and Mr Brogue – who does wear thick rimmed specs – thinks I’d be a right fashion victim if I actually wore them!). 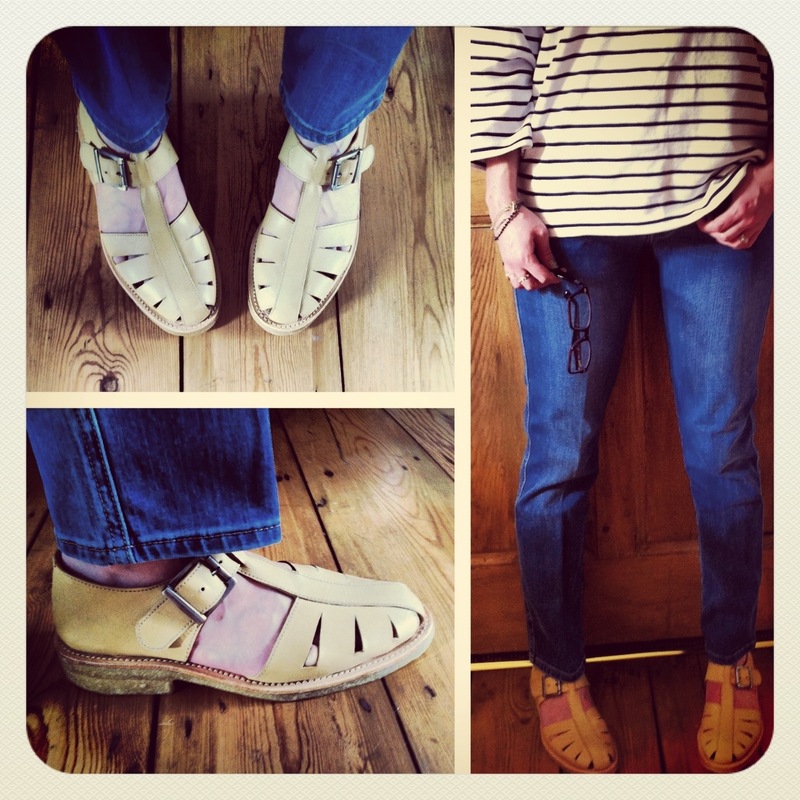 My YMC shoes are yellow, but they are also available in navy (here) and white (here). Punk sandals, £180 (youmustcreate.com) BUY ME HERE! 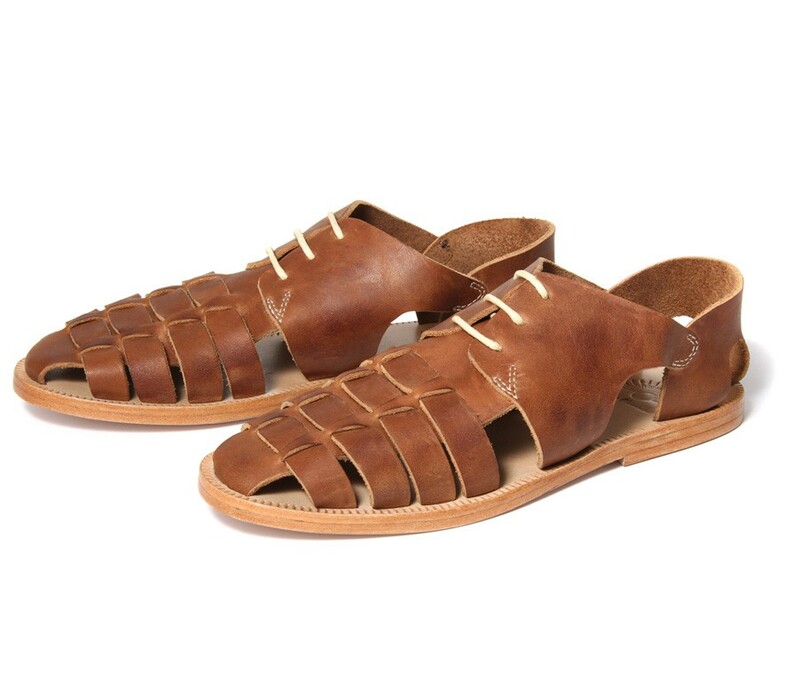 This trend has really taken off for summer, and I’m not surprised, for these are the perfect sandals for this year’s Endless Winter. The enclosed toe means that they look great with tights (mine will be thick, grey and ribbed), and will give a little extra warmth on sunny days that are still a bit chilly but warm enough for bare legs. I’m christening the chunky white and brown leather versions – available at Topshop and H by Hudson – The Summer Brogue. Simply replace your regular brogues with a pair of these in the summer, and the cut out sections will allow your feet to breathe. Stylish and non-sweaty! Konnie cage shoes, £42 (topshop.com) BUY ME HERE! 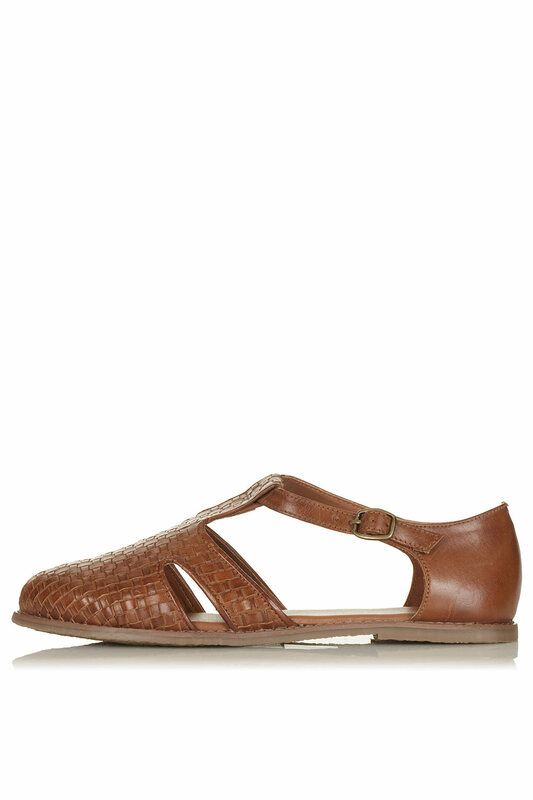 Margo woven shoes, £35 (topshop.com) BUY ME HERE! Copan, £65 (hudsonshoes.com) BUY ME HERE! Super-feminine geeks might enjoy this pair from Office, with their patent pink finish. If they’re a bit girly for you though, you’ll be pleased to hear that they also come in black. And if you really want to go all out, why not invest in one of Topshop’s ‘Geek’, ‘Nerd’ or ‘Dork’ motif T-shirts?! A step too far…?